My plan for my sons first two years of college was to have him take classes locally and live at home. 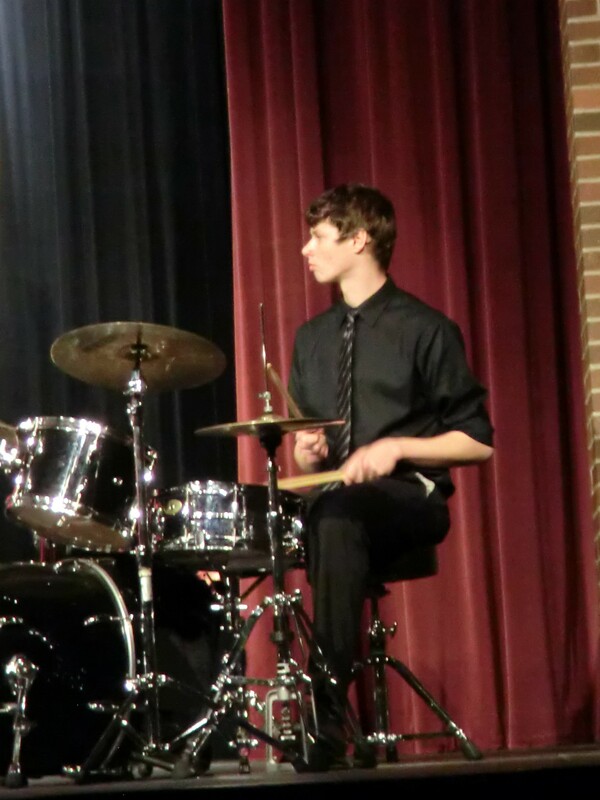 He auditioned for, and received, a $2000.00 Jazz Band Scholarship. I was thrilled! But he had to attend Jazz Band practices twice a week at the campus 25 miles away. He didn’t get a scholarship to cover the dorm and meals, so he had to commute. We did the math and found he could cover the gas ($10.00 a day) and food (He felt he needed $8.00 a meal.) with the three shifts he was working at a grocery store. The weekend before classes started he received an email from the head of the music department who noticed he was an “All State Choir Member”. He wanted him in his chorus. Unfortunately, chorus meets four times a week. He had to join chorus or lose the scholarship. That added another credit and another fee. That also meant he had to drive four times a week. Then we found he had to take private drum lessons. That was another credit and another fee. Of course, all of these credits cost him! Expenses not covered by the scholarship $2331.00! Notice I said it is costing him, not us. I have a gas budget for him and this is what he pays over and above that. Now to make it even more interesting…he does not have any student loans. He is also taking nine more credits, to qualify for the scholarship, that are covered by a grant. He is paying cash all the way. Then, his working hours at the grocery store were reduced to two shifts a week. He got smart really quickly. He stopped eating out and started buying food at the grocery store. And then we got a miracle. One weekend, when his dad was in town with him, they stopped by his aunt and uncles house. They were close to our son because he worked with them at youth camp for several years. They travel a lot and would feel better knowing someone was keeping an eye on the house. They have a basement apartment. Now he is only driving back and forth once a week. He has a kitchen available to cook in and he gets to see his favorite great-aunt and uncle! I suggested he can earn his keep by offering to shovel snow, mow the lawn, rake leaves, etc. The important thing to remember is – every scholarship has requirements. Be sure you are able to meet all of the requirements before accepting it. The first term ended and, like most kids do, my son has already changed his Major from Criminal Justice to Music. He apparently made the right choice accepting this scholarship. He completed the year with a zero balance and no student loan debt. College Boy playing at a concert. This entry was posted in College and tagged Be Prepared, College, Money Saving Ideas by Frugal Fish. Bookmark the permalink.